Invisalign i7 is the latest product from Invisalign and offers an simple and convenient treatment specifically designed for minor tooth movement. Invisalign can produce results in as little as three months without the inconvenience of having traditional braces. Perfect for Adults that want to correct previous relapse or that have minor crowding. Invisalign i7 was developed for patients with mild crowding or mild spacing of the upper and lower front teeth. People that have had braces before may have found that their teeth have moved slightly over time and may now be self conscious about their crooked teeth or an unsightly space. Limited to 7 aligners or approximately 3 months, it's the ideal option for patients that have had braces before and are looking for an invisible treatment option. As it is a fast treatment solution, it's not suitable for all patients and treatment that involves more crowding or a longer duration is best treated with Invisalign Full, Invisalign Teen or Invisalign Lite. 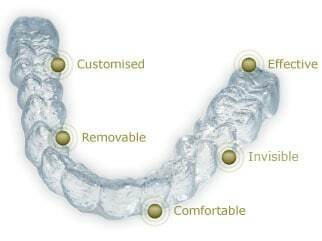 Fast and effective: Treatment is limited to 7 aligners or 3 months which means that you'll see results fast! Easy to maintain: As Invisalign aligners are removable, you can take them out to eat, drink, play sport, tooth brushing, flossing or for that special occasion. 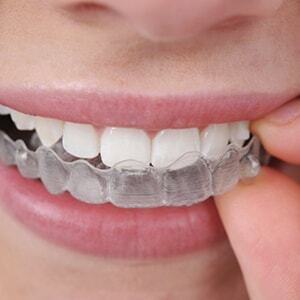 Invisible treatment: As Invisalign aligners are virtually invisible, nobody will notice your wearing them. For more information on Invisalign i7 please click here or contact us.